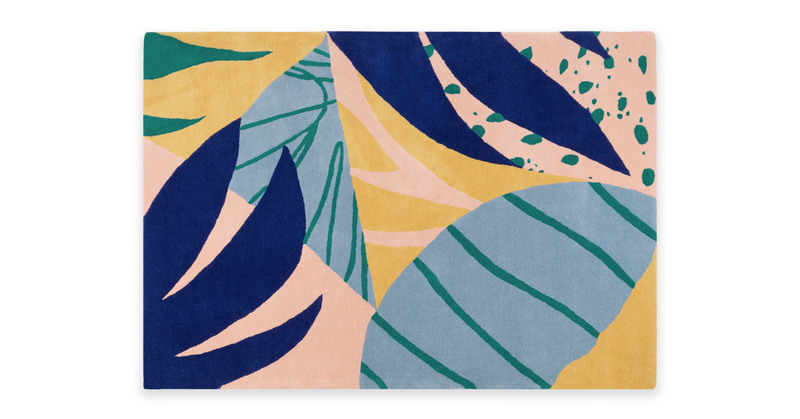 In summery, bright shades of pink, yellow and teal, Huasteca's a wool rug with a wild look – thanks to its collage-effect pattern. Huasteca is hand-tufted from 100% wool – super high quality, super affordable price. British illustrator Tom Abbiss Smith worked with us on Huasteca. He's known for his vibrant patterns and prints, and collage-effect designs.